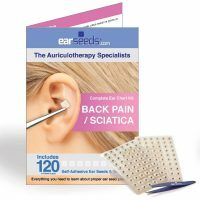 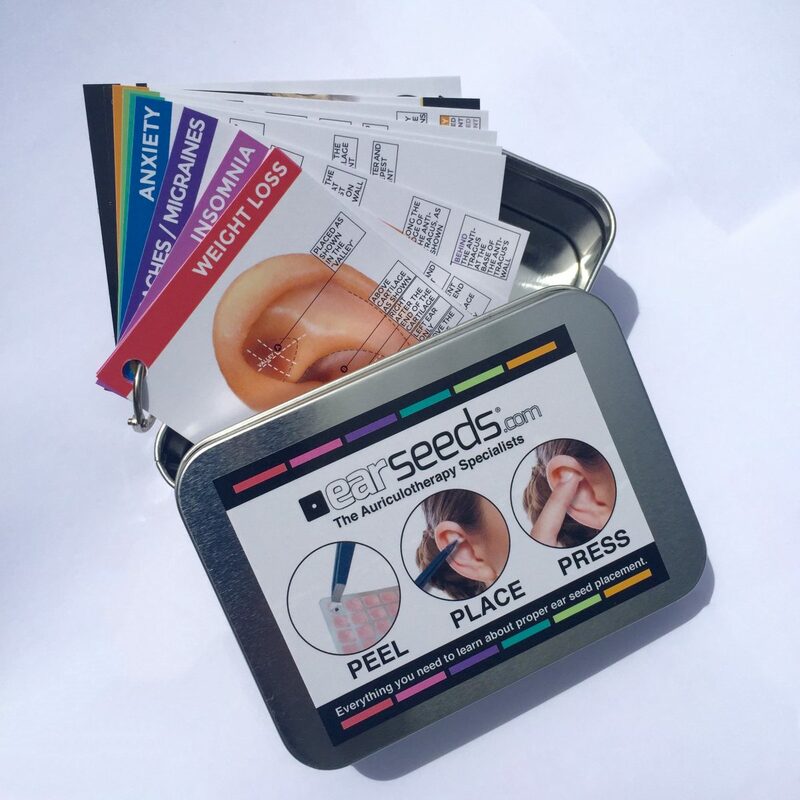 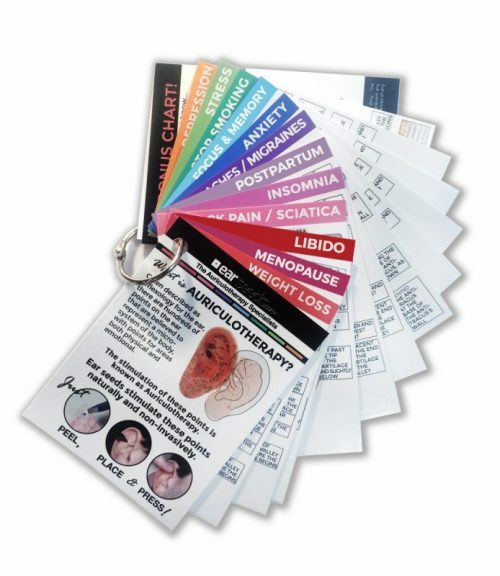 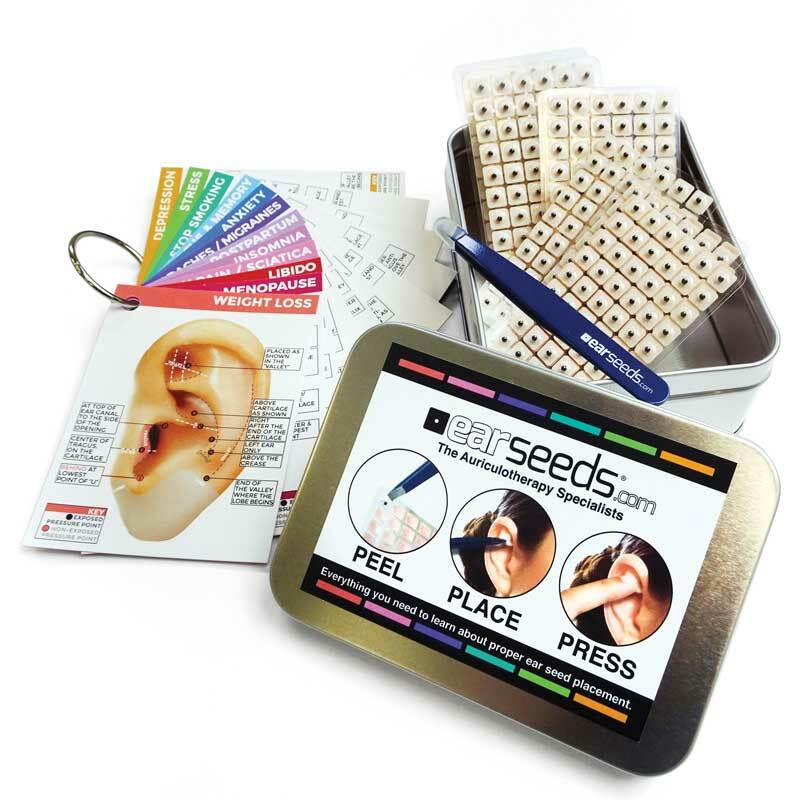 This multi-condition reference kit will provide you with everything you need to learn proper ear seed placement for anxiety, depression, weight loss, back pain/sciatica, stop smoking, stress, headaches/migraines and insomnia. 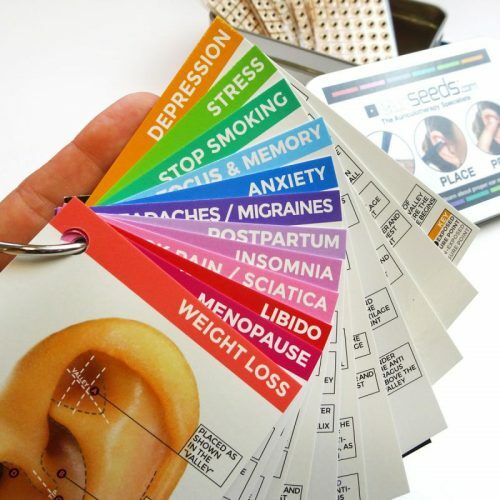 BONUS: Now ALSO includes Focus & Memory, Menopause, Postpartum, Libido! 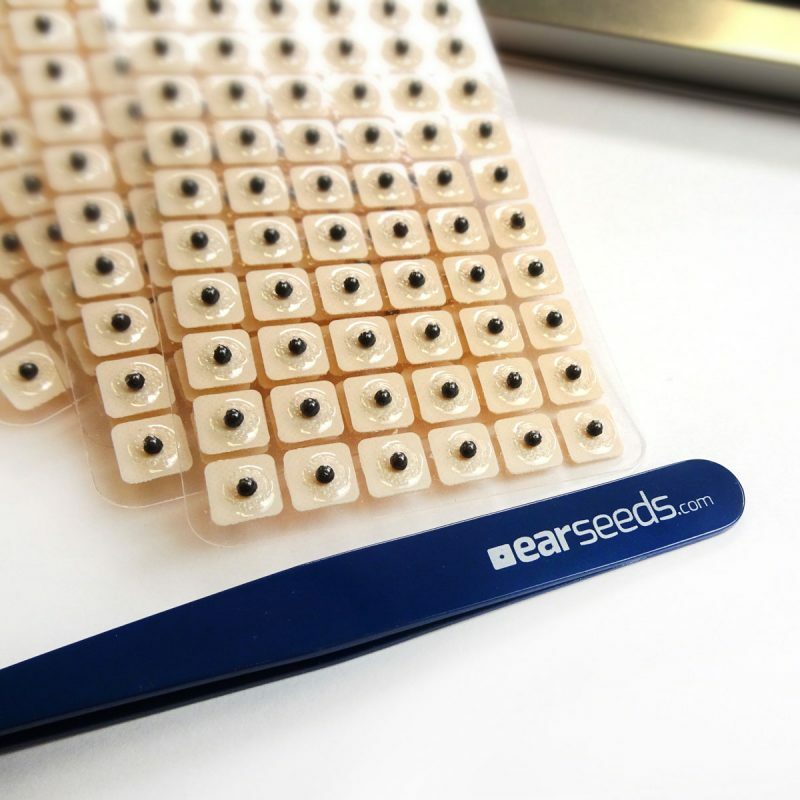 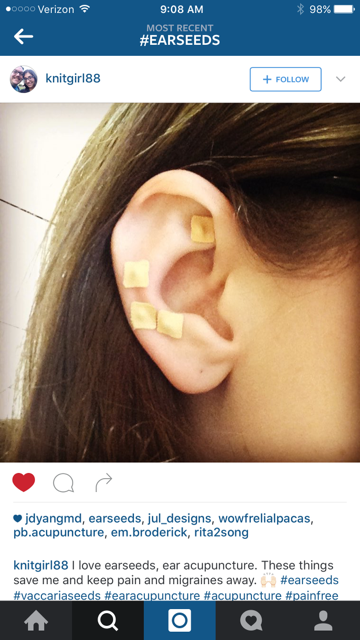 Purchase alone or include our Swarovski Crystal Ear Pellets which can be used in conjunction with all the charts in the kit. 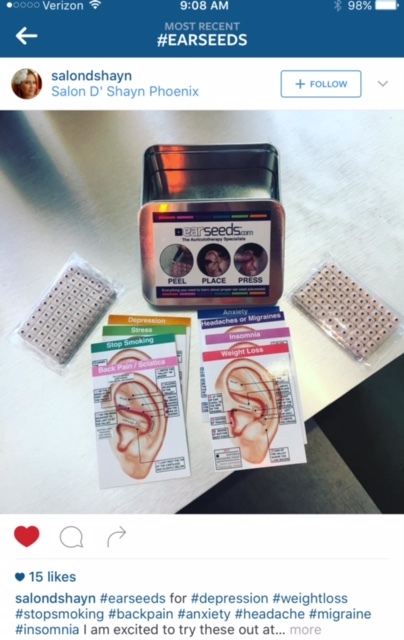 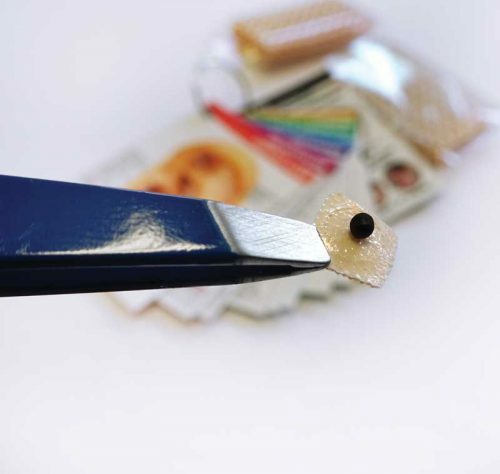 Practitioners: The reference kit includes everything you need to demonstrate proper usage on patients and instruct them on how to use the individual condition-specific kits they can purchase from your office for home use.